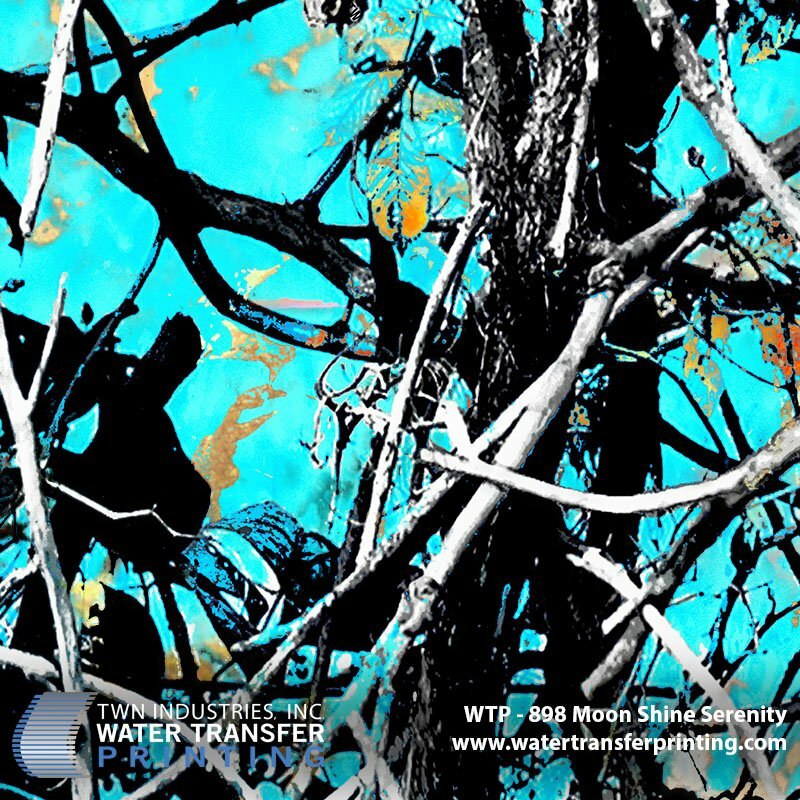 TWN is happy to announce our recent partnership with Moon Shine Camo® to develop a Muddy Girl® Serenity™ Water Transfer Printing film. This vivid camouflage is designed for female huntresses. Unlike most camouflage companies, Moon Shine Camo defies convention by creating camouflages that are not workable as concealment. Instead, Moon Shine Camo has developed an incredibly popular line of Lifestyle Camo® that allows you to show your love for the outdoors while in a social setting. Muddy Girl Serenity is unique because it features vibrant gold/copper accents in the leaves and undergrowth. These compliment the turquoise background and gives the pattern more personality. The base color is a fun and exotic shade of turquoise which has proven to be a highly sought after color. We have also found that Women who do not like pink, love Serenity. We sat down with Brett Erb, Licensing Manager at Moon Shine Camo and learned more about Muddy Girl Serenity. What inspired you all to design Muddy Girl Serenity? Upon sitting down and discussing new pattern concepts we began with the idea of using turquoise in our next camouflage pattern because it was an elegant yet fun and lively color that embodies our Muddy Girl brand. Immediately we noticed the relevancy it had with water and Spring/Summer fashion trends. We also noticed that a lot of designer jewelry contained copper veins. We combined these two design elements to create Muddy Girl Serenity. A luxurious designer camouflage that is both fun and fashionable. The name “Serenity” is a perfect fit because the coloration of the pattern resembles a state of bliss and tranquility for many people. What was development process behind Muddy Girl Serenity? The development behind Muddy Girl Serenity was a labor of love. We gathered everyone in our offices and started brainstorming new color schemes and branding ideas. We stayed late after meetings thinking of names and creating a business plan. When we finally agreed on a name, renderings were crafted and after multiple samples and a few revisions, we saw the first approved sample of Serenity. What Individuals Does Muddy Girl Serenity Appeal To? Initially, the idea was for Muddy Girl Serenity to serve as a complimentary camouflage to our flagship Muddy Girl camouflage and appeal to females. However, we have seen interest from men as well. Muddy Girl Serenity is a Lifestyle Camo, it is designed for everyday life and was made to fit all lifestyles. 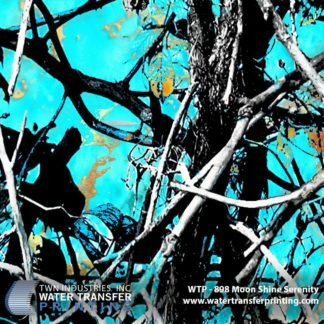 Although this is not a concealment pattern, many outdoor products and firearms are dipped with Muddy Girl Serenity Water Transfer Printing film. Rifles, Bows, Tumblers, & more can be customized with this fashionable camouflage. From our humble beginnings in a garage to a brand-new facility housing our entire operation, Moon Shine Camo is dedicated to build the Lifestyle Camo market by staying true to our roots, developing strong partnerships, and designing camouflage patterns that stand out. Moon Shine Camo is the Original Lifestyle Camo® brand. Our patterns are developed solely to fit outdoor lifestyles of all kinds. We evolve typical clothing and camo into a new level of self-expression. As a result, our lineup of unique camouflage is worn by hunters, fisherman, extreme sportsman, and during leisure activities. Share your love for the outdoors and stand out with Moon Shine Camo. For more information about Muddy Girl Serenity please visit Moon Shine Camo.